Kim and Paul emailed me 16 months before their wedding to check on availability. After a phone call I was booked! The first time we met was in Williamson Park in front of the magnificent Ashton Memorial for an Engagement Shoot. We spent over an hour wandering around the park chatting and capturing some fun photographs of the two of them together. An Engagement Photo Shoot is a great way to get to know me and helps create more relaxed photographs on the wedding day. I know Kim and Paul found it really beneficial. 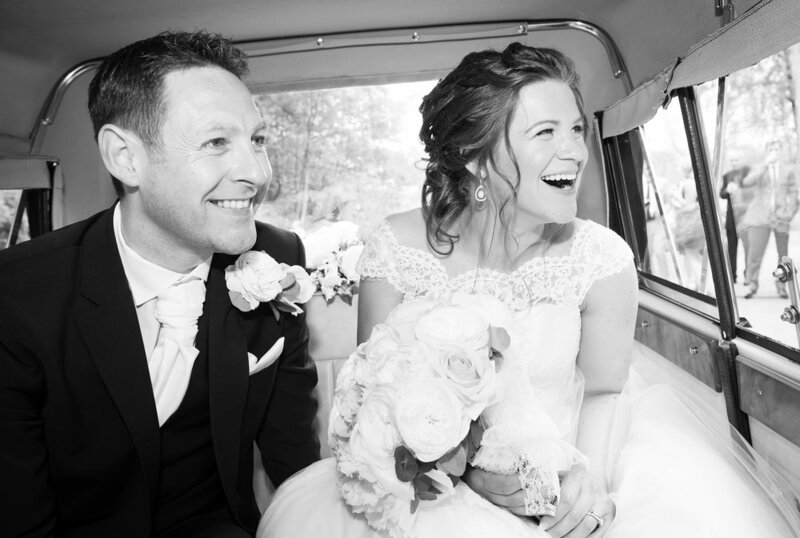 They married at the beautiful St. Paul's Church in Brookhouse near Lancaster. Then it was a trip up the M6 to the Lake District and the majestic Merewood Country House Hotel. We had so much fun at Kim's parents house. The Dollz by Samantha Mercer were Kim and her Bridesmaids Hair Stylists & MUA's for the morning. They were absolutely brilliant! As you can see from the photographs it was a lovely Summers day! 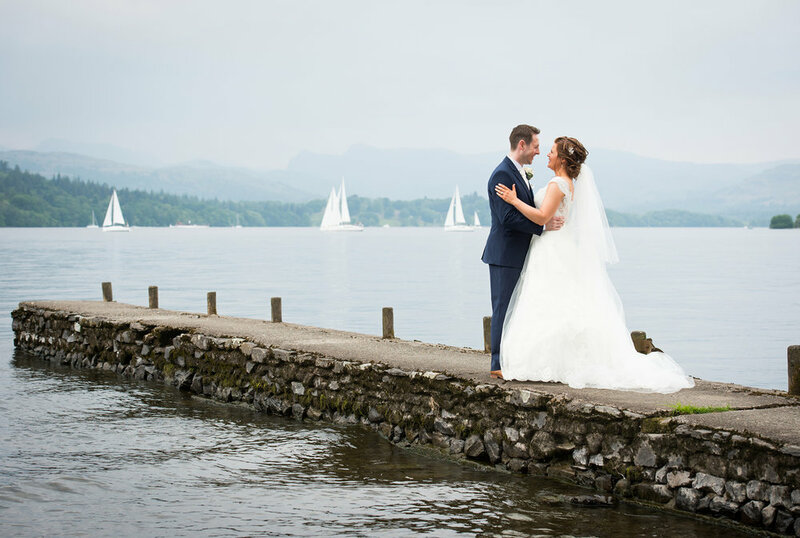 When Kim and Paul initially booked me to photograph their wedding they said that they wanted some photographs on a Lake Windermere jetty. Kim and Paul's videographer Jamie Harper suggested the perfect location on route to the wedding venue. Jamie was fab to work with and no Kim didn't get married in her white moon boots! Lol. The Merewood Country House Hotel is a wedding photographers paradise, the gardens are beautiful. 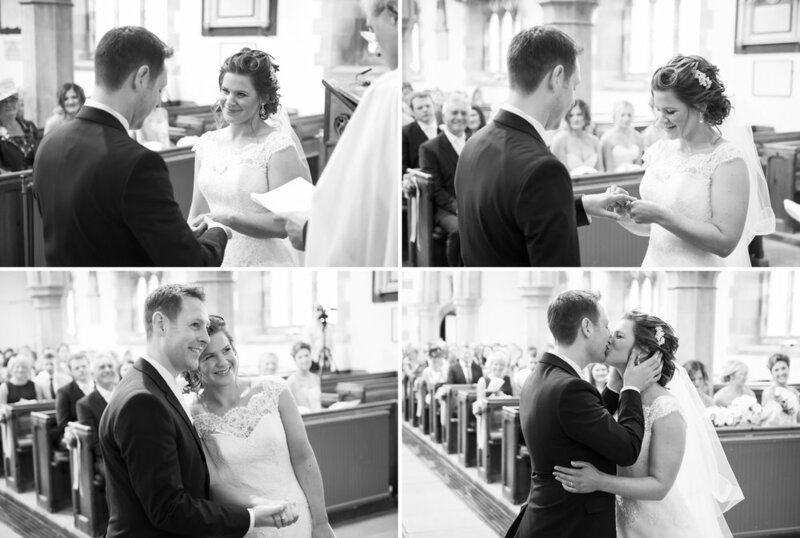 This is just a small selection of the wedding photographs I captured! 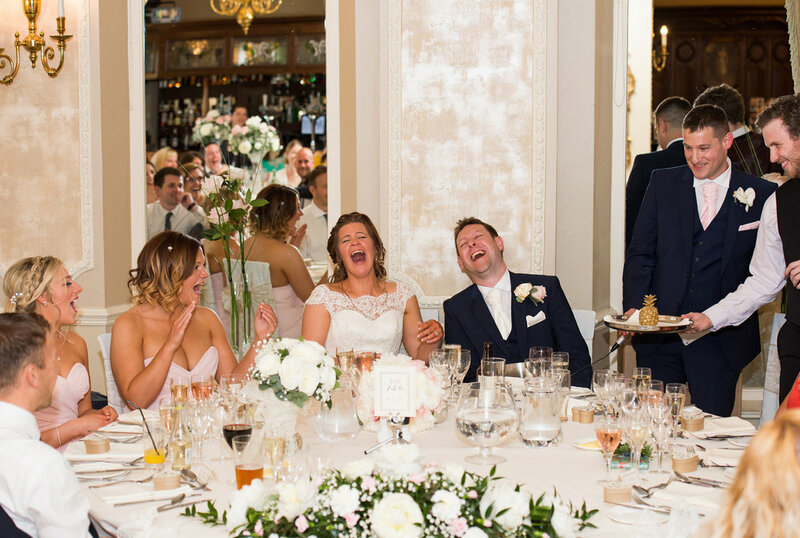 The wedding speeches were quite literally a laugh a minute, my sides were splitting from laughing so much! Can you spot Kim's Bridal Bouquet? 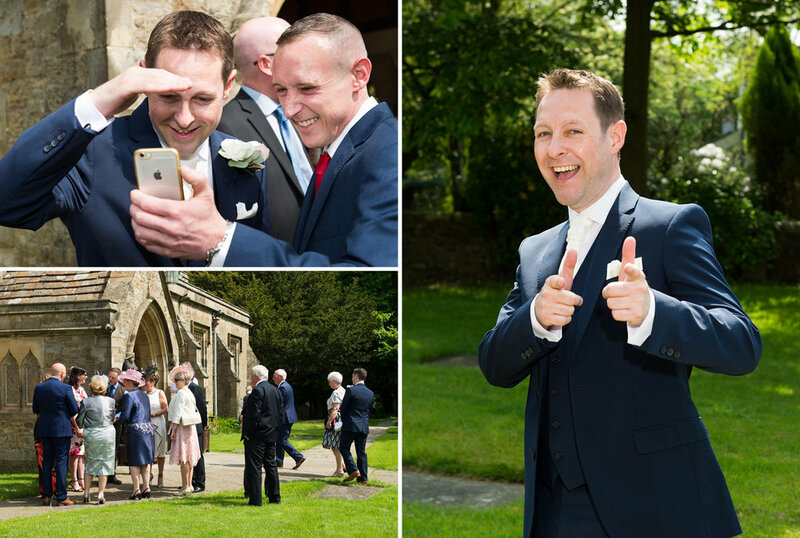 I hope you've enjoyed viewing this small selection of Kim and Paul's wedding photographs. If you're planning your own wedding I can be contacted by email or phone 01995 602181.